It's been quite cool over the past week which is surprising for summer, where I didn't think that I would be wearing jeans and a long-sleeve again so soon. I would have preferred to wear a skirt or a dress but it was way too chilly for that! I was browsing the Tmart Shoulder Bags & Handbags where I came across this cute yet elegant-looking bag which is perfect for outings and when only the necessities need to be carried around. With a style and size like this, I would say that it's suitable for both daytime and evening use and can go with neat casual or dressy outfits. The bag and its material feel quite sturdy despite being made from PU Leather, man-made leather which isn't as durable as genuine leather but is waterproof and easy to clean and maintain. It is suitable for people who are on a budget as it is only half the cost of genuine leather yet looks and feels like the real deal. The description says that it has a magnetic closure but there doesn't seem to be any magnets so it sounds a little misleading. 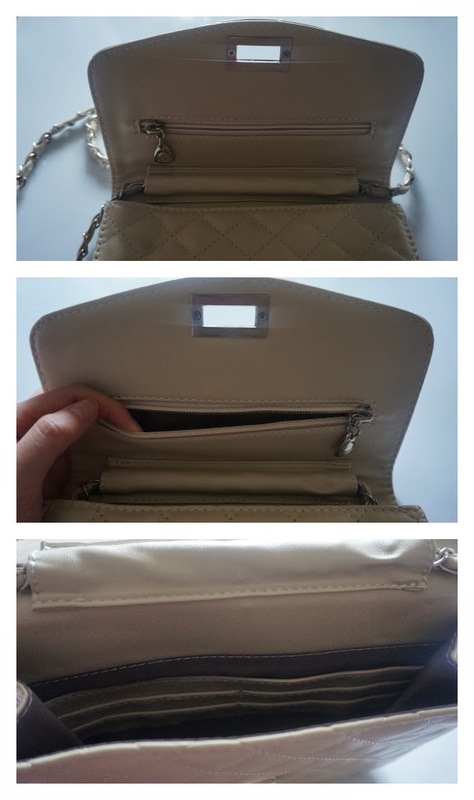 However it closes very easily with the twist of the buckle and I definitely prefer this type of opening and closing compared to a magnet which can open easily too (not a very good thing for me). With this buckle, it seems safer for my belongings because it isn't easy to open accidentally. As well as my OOTD picture above and as a clutch, it can be worn as a double-strap for the shoulder or for the crook of the elbow, as a cross-body bag and as a shortened bag worn on the side. Very versatile/multi-functional. 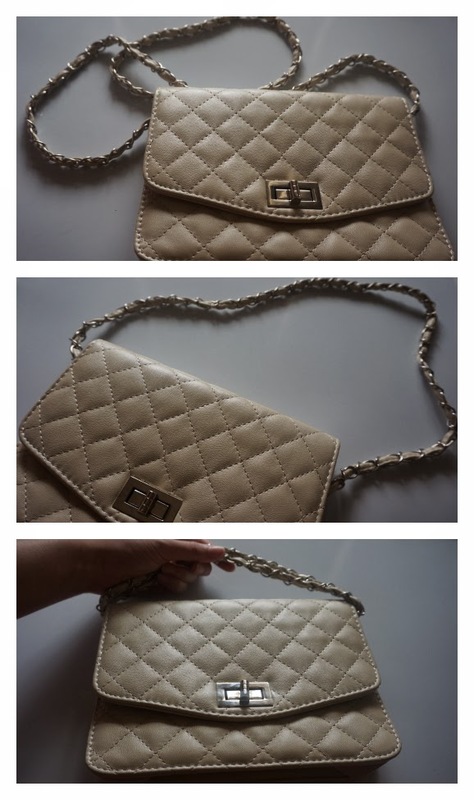 I've always been a fan of quilted handbags and purses, I just love how classy the design looks. 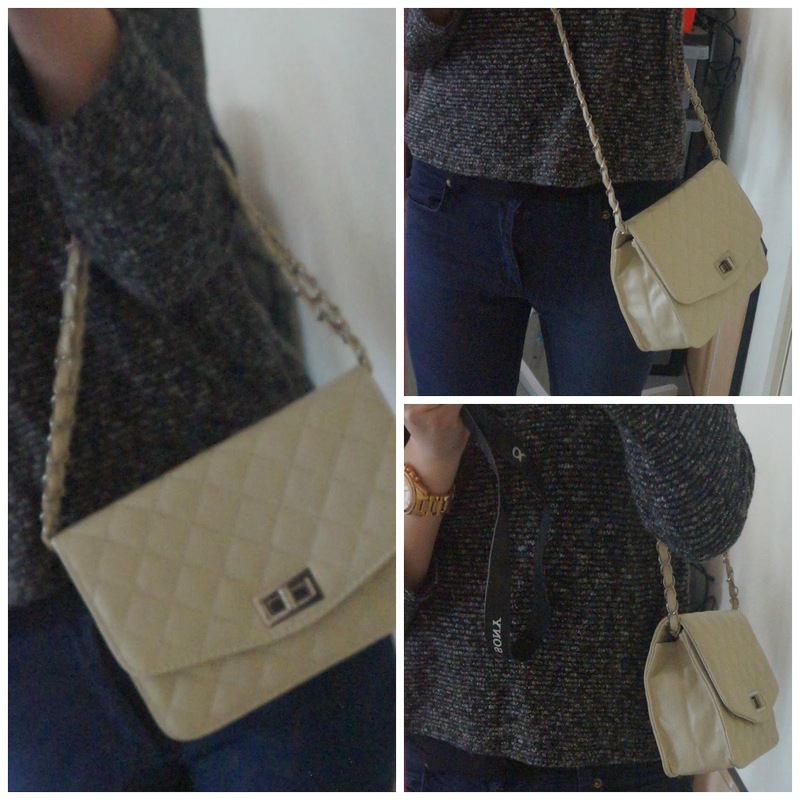 Think of the Classic Chanel Flap Bag and how popular it is - isn't it gorgeous? If only I could afford one of those haha... for now I shall stick with other alternatives of quilted items such as this shoulder bag and my Ooh La La wallet, made from genuine leather (a PU leather vs. genuine leather comparison for the quilted design). The little zip compartment under the flap is quite narrow but it's useful if you need a place to keep something small, like a pair of earrings, a ring, USB stick, keys or a blister pack. When I looked into the bag I really wasn't expecting to see card slots because I rarely come across any bags of this size with them! And I find them really handy, especially if you don't intend to bring everything in your wallet out with you. I didn't find any faults with this bag and the quality meets its price of being under $15 AUD. I would recommend this bag if this design is what you're after and it suits your budget :) My only advice would be to not make it too heavy with items (being able to do that is quite limited anyway, thankfully) as it will weigh the bag down and may cause the chain along the strap to be a burden to your shoulder. This is a bag that I know I'll be using for quite a while! Possibly until I can get my hands on a Chanel hehe. Disclaimer: Product was sent for review purposes. This is not a sponsored post, nor am I affiliated with the company mentioned in this post. All opinions stated by me are 100% honest with no bias. That's such a cute purse! I really like it >.< Want it now! You should get one hehe! OMG!!! This is so cute! Love the color and the quilt design. 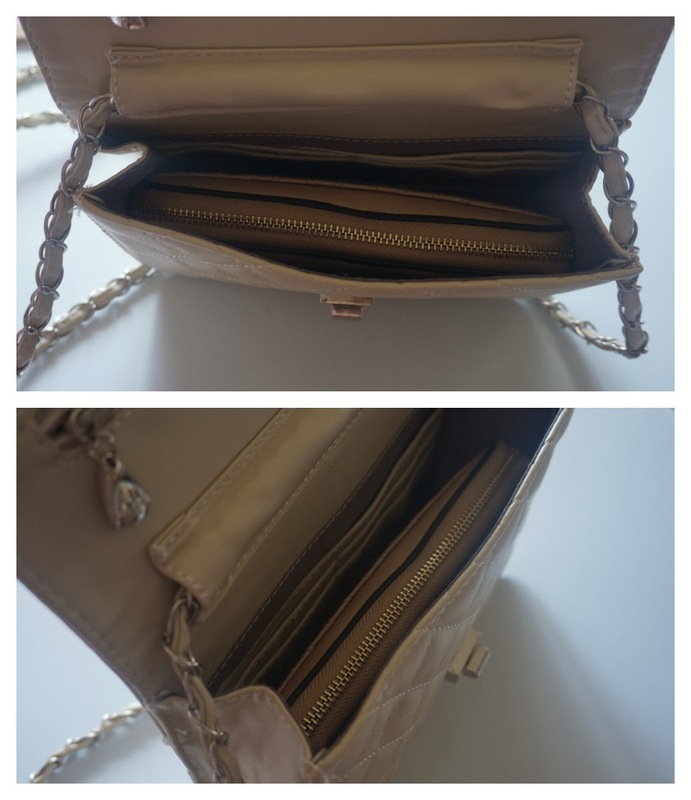 It has also lots of pockets which I always prefer in bags or purse. Love it! Oh yes, it's always a must for my bags to have enough pockets/zips! This kind of bag is so nice and wonderful..